Graduate of the Faculty of Health Sciences at the Higher School of Engineering and Health in Warsaw, majoring in cosmetology. 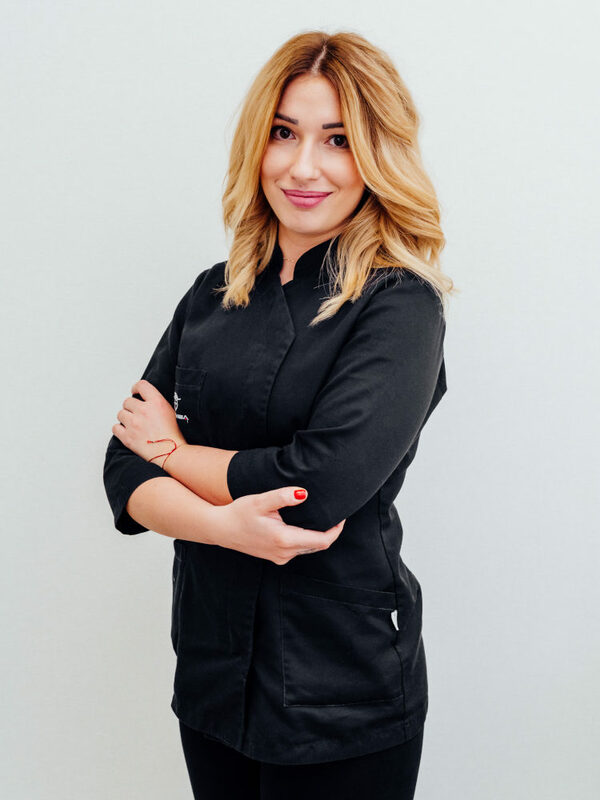 Her field of expertise covers chemical peels and cosmetology procedures, both in respect of skin care and of a medical nature, that are preceded by consultations with Dermea dermatologists. She is highly knowledgeable and experienced in planning cosmetology treatment programmes. She carries out diamond microdermabrasion, Dermapen microneedling and Zaffiro thermal lift treatments, Secret RF fractional radio frequency microneedling, and also operates silhouette shaping devices. Her daily routine also involves providing assistance to physicians in dermatological and aesthetic medicine procedures. By taking part in numerous conferences, she constantly expands her expertise in cosmetology and aesthetic medicine.